Free your body. Slow your aging process. That Is How We Roll is challenging and relaxing, peaceful and intense, all at the same time. The That Is How We Roll Series of bodywork ball workshops and classes are designed as an innovative, low-cost way of practicing healthy deep-tissue, pain-relieving, muscle-toning body-massage self care. In a 75 minute, four-hour, or full-day program one can learn skills to take home and use for a lifetime. Through a process of applying body weight into specially designed small balls, old patterns are changed toward increased comfort, flexibility, and a refreshingly renewed range of motion. The tissues are naturally re-hydrated. Comments such as "I feel more open and free", "I feel taller", or "This is just what I needed!" are common. Susan Carbin-Hardee, founder of Embodi, saw the need for a method of deep tissue postural correction and self-massage in a class format to address the creeping sense of overall tension and contraction that develops in our bodies as we live. Her deep experience as a dancer and yoga teacher, with three decades as a massage therapist and more recently as a Board Certified Anatomy Trains Structural Integrator, has given her the human anatomy tools needed to create this age-defying and pain-relieving method. Your body alignment in gravity is responsible for how your weight is distributed through joints. Misalignment and imbalances can have negative impact over time and lead to uneven cartilage wear in knees, hips and shoulders resulting in chronic debilitating conditions. It's smart to get on it early in life to free your body and evolve your posture. Applying deep pressure to the body needs to be undertaken with patience, respect, and knowledge. There are nerves, arteries, scar tissue and old injuries under the skin, and each person is unique. Having an expert in the bodywork field as a teacher gives the advantage of having the anatomy clearly explained as one learns. The balls come in various sizes and levels of firmness. A smaller ball has more of a pinpoint affect, whereas a very large ball will have a regional or global affect. 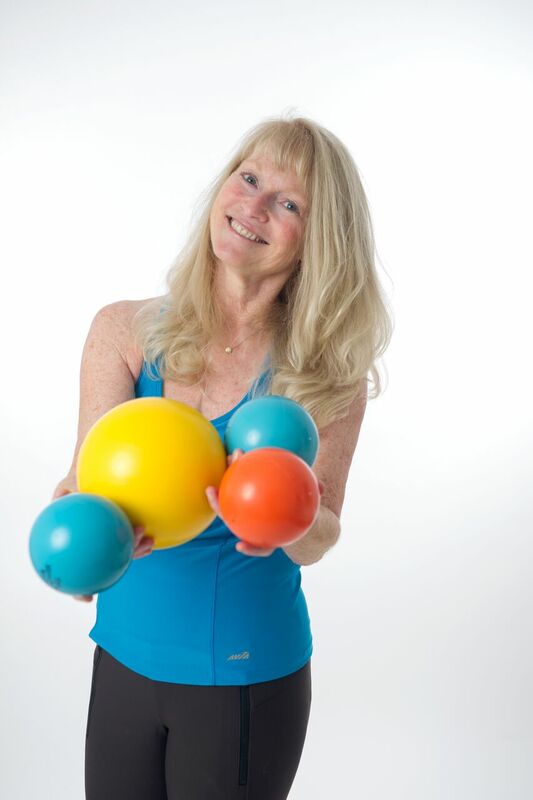 The firmer balls will apply greater pressure into the body tissues and, as such, are used more in advanced classes or in private sessions. A softer ball is what tends to be used in the workshops as an educational introduction to the work. Individuals can work up to firmer pressure over time as it feels safe to apply. It is surprising to learn how easy it is to create change in your body. Anatomy Trains Structural Integration clients know that homework is in integral part of participating in an ATSI series of sessions, (and important to holding a more permanent alignment after a series is finished). Customized That Is How We Roll exercises serve as a focused support to be practiced between session times, and regularly thereafter. Offering these workshops and classes is a way for Susan to synthesize and share all that has been shared with her. You can evolve your posture to regain old levels of comfort. Private and semi-private sessions are popular. Call for a 20% discount on your first class. Once per month you can join in to a four-hour deep dive into the wonders of rolling. Body focus areas will vary monthly (for example: neck and shoulders, pelvis, legs and feet, spine, arms and hands, etc.) so that over time you'll have a chance to learn and apply advanced deep massage to most of the major muscles in your body with the profound benefit of feeling at home and less painful in your body again. Please join us. Call or email for dates. "I felt like I'd been handed control over my own destiny..."
"I really felt a difference after the pelvic class. Walking feels easier, more fluid. It was and still is remarkable, really. "Everybody needs to be doing this work."